Vikram Tiwari, Ph.D. is Assistant Professor of Anesthesiology and Biomedical Informatics at the Vanderbilt University School of Medicine. He also has an appointment in the Vanderbilt University Hospital as the Director, Surgical Analytics Perioperative Services. He was an Assistant Professor of Supply Chain Management at the University of Houston from 2007-2012. Dr. Tiwari has a doctorate in Decision Science and Operations Management from Indiana University Bloomington, and also has Electronics & Communication engineering and Masters of Business Administration degrees. Dr. Tiwari’s research interests are in operational improvement and capacity management of healthcare delivery. He was the principal investigator for a $219K grant from the VA Houston on improving operating room efficiencies. He has been a co-investigator on several other grants and healthcare industry projects. He has mentored one industrial engineering doctoral student, 5 masters of supply chain management students, 2 physician K-12 scholars, and 1 post-doc anesthesia physician. His research has been published in Interfaces, European Journal of Operational Research, Healthcare Management Science, Anesthesia and Analgesia, The American Journal of Surgery, Journal of Surgical Research, Anesthesiology, and Anesthesiology Clinics. 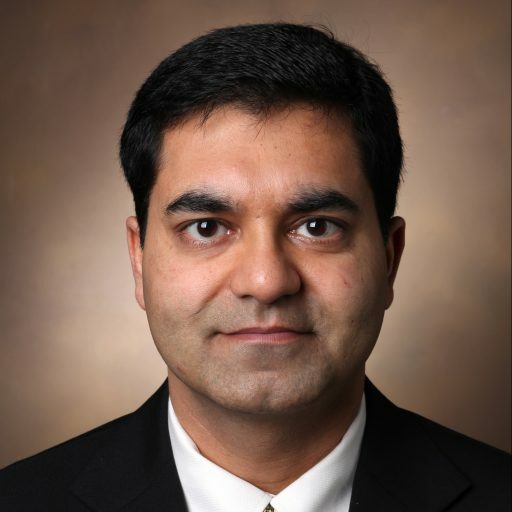 Dr. Tiwari’s research on predicting surgical volume was selected for presentation in the Best Abstracts session at the American Society of Anesthesiologists conference (Oct 2013). He was interviewed for a radiocast for his research on using process control methodologies to evaluate improvements in first case on-time starts. Dr. Tiwari has held numerous offices of the College of Healthcare Operations Management, and was a Board Member of the Production and Operations Management Society. In collaboration with other healthcare organizations he has organized several healthcare mini-conferences and led best research paper competitions. He is a member of the Health Applications Society (HAS), the Manufacturing and Service Operations Management Society, and the Analytics section of INFORMS. He has been a cluster chair at INFORMS Healthcare 2011 and 2013. He was the Program Chair for the international INFORMS Healthcare 2015 conference at Nashville. He is the President Elect of the HAS of INFORMS (2016) and will be the President for 2017.